"This is our homage to the famous Fur Teacup by Meret Oppenheim, one of the earliest 20th C surrealists and a female art icon. 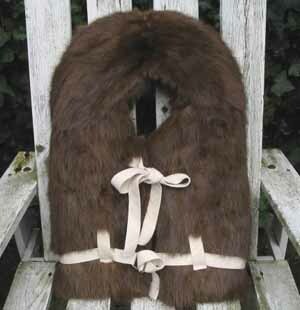 It is a functional, regulation life preserver, re-covered in high-quality mink reclaimed from a vintage 1970s short mink jacket. It is an art object, a conversation piece, and a pillow substitute for your couch or boat."